Moving to the city, Cass Lehman hoped to leave her recent notoriety behind her. Her ability to experience the final moments of a violent death helped the local police capture a serial killer, but also meant she was almost his final victim. Her ‘gift’ is called on yet again by the one man she vowed she would never contact. Cass and Detective Ed Dyson are thrown back into each other’s lives but can they overcome their feelings to put an end to the terror? A reluctant psychic, a troubled detective and a deeply twisted serial killer. 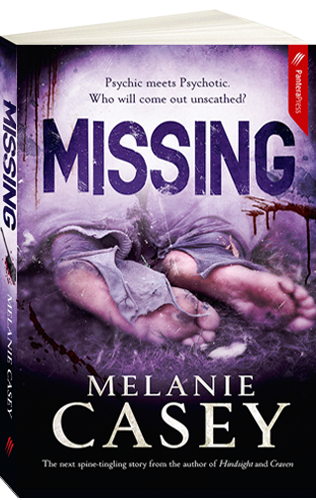 Melanie Casey - Author of the chilling Cass Lehman Psychic Detective Series. Melanie Casey was born and lives in South Australia with her two young children and her husband (who didn’t know he was marrying a writer when he walked down the aisle). After studying English Literature and Classical Studies, Melanie shifted to Law, and now works in government. 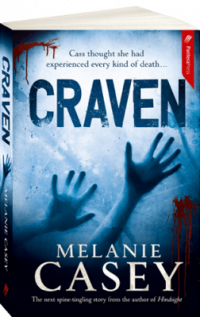 A chance meeting with a highschool English teacher in the supermarket made Melanie realise that she should be doing what she’d always loved, writing! 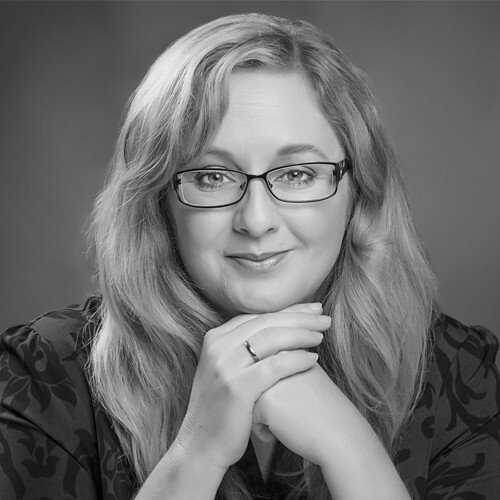 Another period of study, this time at the Professional Writing School of Adelaide’s College of the Arts ensued, helping Melanie acquire the skills she needed to put her plan into action. 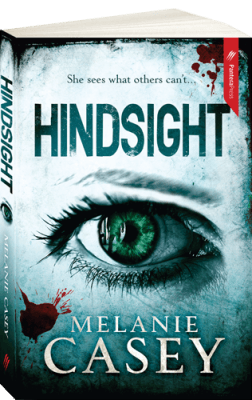 Hindsight was her debut novel, the first in a crime trilogy featuring Cass Lehman and Detective Ed Dyson. The second in the series, Craven, was released in 2014. The third instalment, Missing, was released in 2016.